Whilst there was a wedding and some footy on TV, our crack crew of electricians were at Keen House, continuing the rewiring of the layout. The lines are now all working correctly and the new loop on the Down Main is live and running (track will need a bit of fettling). The end of the …read more. 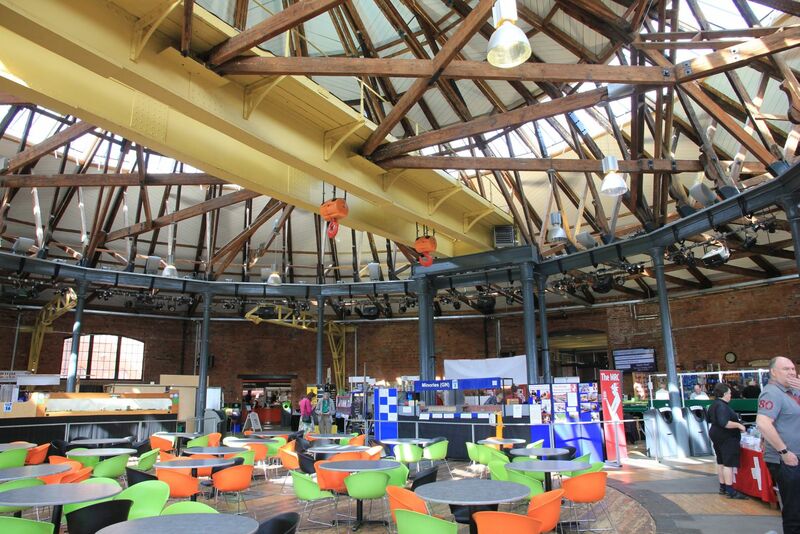 On the 12th and 13th May, Minories headed north to the historic Derby Roundhouse – for the Michleover Model Railway Group exhibition. John, Rob S and Tom headed north on Friday in a transit van (which came with a special adaption to first gear to keep the driver awake), where we met up with former chairman …read more. Get involved with Orchard Wharf! First meeting Friday 18 May 2018, 18.30 in the Library The build of Orchard Wharf is now under way. We propose to meet regularly on Friday evenings (with a possible earlier start for those available in the afternoon). The first meeting is on Friday 18 May. All members are welcome to attend. We’ll provide another …read more. In the months since our last update much has been done to the layout and the common fiddleyard shared with Putnam (H0) with the main goal of taking Ingatestone (00) to the London Festival of Railway Modelling in March 2018 at Ally Pally. We intended to show the full layout, under construction but with roundie-roundie …read more. After a month in the paint shops we now have an ex-works engine, called “Mons Meg”. This engine was named after the medieval cannon resident in Edinburgh Castle and the engine, when new, visited King’s Cross a few times – it should look at home on Copenhagen Fields. There are a few …read more. Orchard Wharf project is now directly contactable! 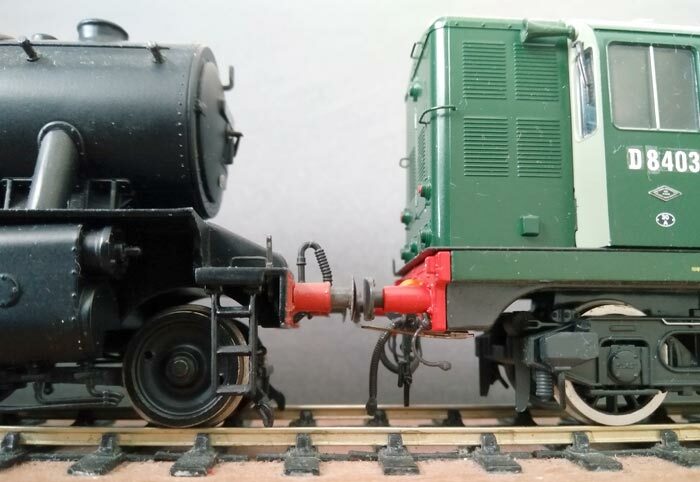 We now have a layout email address: orchardwharf@themrc.org.uk. So one less excuse not to get in touch. Following a presentation to club members at the beginning of the month, our new EM Gauge project Orchard Wharf (set in London’s docklands c. 1960) was shown off to the public for the first time at last weekend’s London Festival of Railway Modelling. 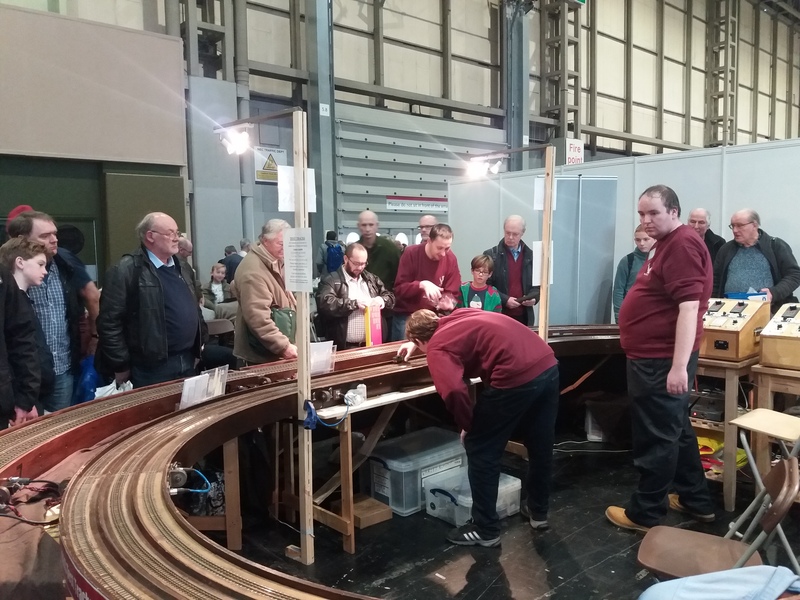 The layout formed just one part of The MRC’s extensive demonstration stand. …read more. 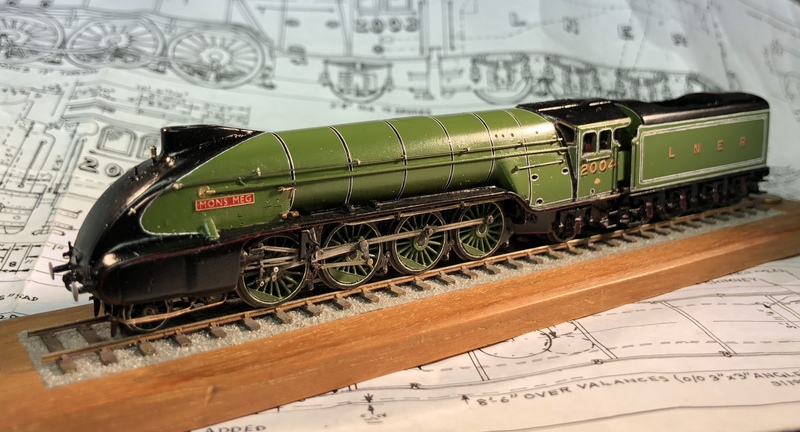 We had a great trip to Doncaster back in February — thank you to those who stopped by to see the layout and chat. The layout ran flawlessly (well, a cable did come loose on Sunday morning but that was it). I am grateful to the rest of the operating team, Hugh and Tom, for …read more. Above: smartphone cameras can be cruel! Old and new traction alike will need more attention before it can grace the layout. EM gauge operations intensify Orchard Wharf is our new EM gauge project. We’ve taken a very different tack to that of Empire Mills, the layout’s predecessor. What we wanted this time was something the …read more. 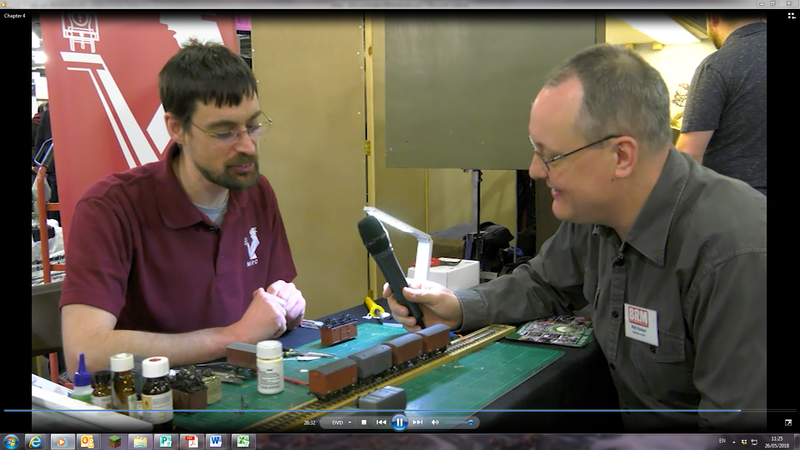 It’s been a busy first day at Warley for the MRC Test Tracks. A constant stream of locomotives kept the test team busy, with new owners were being reassured to see their purchases successfully running round the tracks. A handful of non-runners were identified, these were returned to suppliers for replacement or refunded.